Growth Hacking is a marketing technique used by technology startups. This type of marketing technique utilizes creativity, analytical thinking and social metrics to gain market exposure. It is a new way to reach out to the global market via growth. The key idea of growth hacking is to drive huge product growth which is also its only objective. That is the main difference between a growth hacker and a marketer which the former only focus on growth. Every decision and every action taken by a growth hacker is informed by growth and is attempted to drive growth. Because the ultimate aim of a growth hacker is driven by a singular goal (growth), they can achieve the one task that matters most in the early stage of the startup. Having said this, the conventional marketing techniques also focus on growth but not at the same level at which growth hacking does. The growth hacking technique uses tools and best practices that are not present in a conventional marketing system. For example, growth hackers concentrate on low cost and innovative ideas such as using social media channels to advertise their products instead of using traditional marketing medium such as radio, television, etc. Having special features in the product to simulate growth can also be considered as a growth hacking technique. One good example can be seen in the file sharing service Dropbox. By simply sharing an affiliate link to their social networks, users can encourage their friends to sign up for the service. 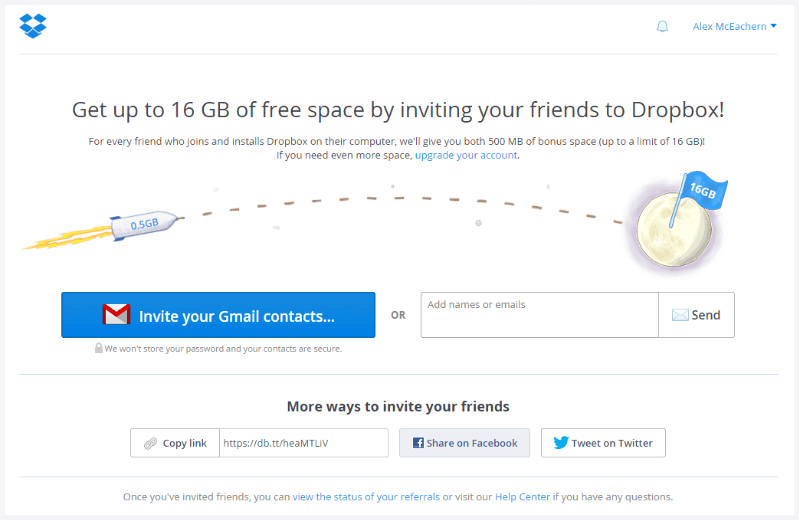 And from this action, users are able to grow their account space, while Dropbox has easily acquired several hundred thousand new users on their platform. A simple idea that is able to achieve huge results. That is growth hacking! Paid Acquisition – Uses paid tools such as Google AdWords, Google Display Network, digital ads and Facebook ads to draw attention to a product. A/B testing and Analytics – By utilizing A/B testing and analytics startups are able to improve their conversion rates. Many of the startups struggle to get new users for their product. While others are able to use growth hacking techniques and acquire new users in a short period of time! That is why growth hacking is vital for startups as in the early phase of a startup when you need to focus on growth. Many of the most successful startups are always trying to find scalable and repeatable marketing strategies, methods for growth and tactics that are rooted in data and technology. In Growth Hacking, the growth hacker focuses conscientiously on growth, among the right analytical skills to tightly track how the growth can scale a startup very quickly. They also deal with a wide range of areas including email marketing, SEO, content marketing and social media to accelerate consumer interest and sales. In the past few years, a handful of people have emerged that have been able to hack growth for products, growing them from 0 to 10+ million users in a matter of months with little or no marketing. Most of the brands that are also using such techniques are Facebook, Dropbox, LinkedIn, Pinterest and more. They all called themselves “Growth Hackers”. One of the most difficult challenge for startups is to get their name out there and cultivating a loyal customer. It is impossible to compete with larger, more established companies through traditional methods. That means that startups need to get creative in order to grow their market share quickly and effectively. In an early stage startup and you should be looking for rapid growth of your customer base, try using these 3 strategies to develop your startup and get a long-term customer. Nowadays people love the word “free”, this is one of the easiest ways to increase your customer base and attract new users. Most of the startups are using this strategy to get more visitors and traffic quickly. This also drastically impacts the user acquisition rate, allowing people to try the product before buying it & also allows users to work out if access to additional features provides the value they need to pay. In 1996, Hotmail launched its browser-based email service and leveraged a free account to lure its existing 20,000 users to sign up. Consequently, Hotmail was able to grow its user base to an astronomical 1 million users within the first six months. Referral Marketing is the approach of connecting people. This is also a very famous method to grow startups rapidly, one example of such startups is Dropbox, as mentioned earlier. Customer referrals are among the most sustainable and cost effective ways to grow a startup. Referrals can be accelerated by prompting customers to share at points of delight within the product and making it very easy to share socially via Social Platforms or emails. Platform hacking is a technique for startups to work with other relevant platforms, services or products. YouTube used this method to grow rapidly by tapping onto the growing user base of MySpace to gain more views and users for themselves. 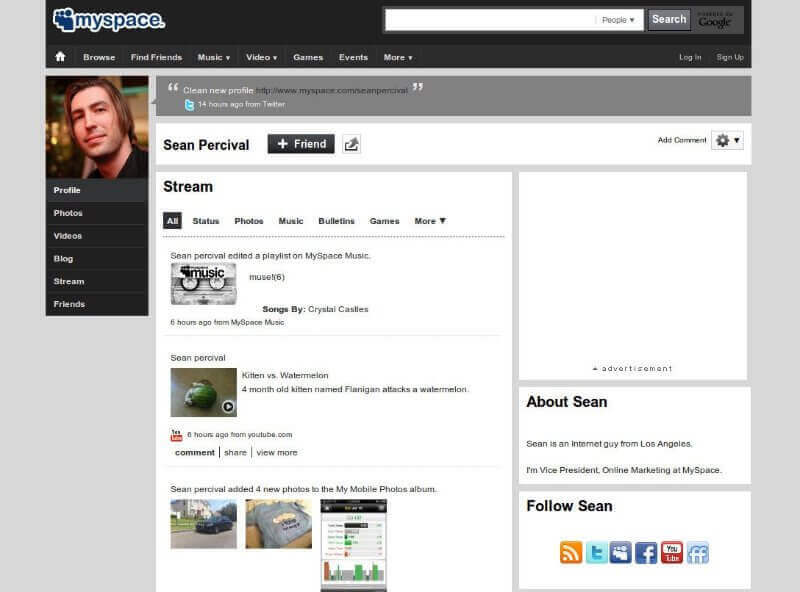 In 2005, MySpace had 25 million users and was at the top of the social media totem pole, but sharing videos on the platform was a huge pain point for all users including advertisers. YouTube provided a solution by allowing MySpace users to embed videos without the need to pay for the service. As a result, YouTube became one of the largest, most successful startups of our time. Growth Hacking is not about redefining the goal of marketing, but it certainly is evolving the way marketers go about the task of driving product awareness, demand, and sales. The key difference between growth hacking and traditional marketing is that growth hackers do not take the time to strategize a marketing plan. Instead, they test to find something that works. This is something that startups can use to leverage for success. Previous articleIs Branding more than just a Logo?